Because of the high level of public concern over New Jersey’s children, teaching is a highly regulated and scrutinized industry. Not only are teachers required to meet significantly high standards of education and training, and, in most cases, to have specialized knowledge in their field, but they must also maintain a level of behavior and continued education to maintain their teaching certificates. The Board of Examiners is the state licensing agency which reviews and monitors teachers. IT has the power to bestow, deny, suspend, or revoke a teacher’s license. The Board of Examiners may revoke or suspend a teacher’s certificate if the teacher demonstrates inefficiency, incapacity, conduct unbecoming a teacher or for any other just cause – such as being convicted of a crime. However, the Board of Examiners cannot revoke or suspend a New Jersey teacher’s certificate unless it gives the teacher notice and the opportunity to be heard. In considering to revoke or suspend a teacher’s certificate, the Board of Examiners will first vote publically regarding whether to initiate the revocation or suspension proceedings. If the vote is in favor of the proceedings, the Board of Examiners’ secretary will then issue an order stating this along with the specific charges which support initiation of the proceedings. The teacher must then file an answer within 30 days of the order, specifically addressing each of the charges. If the teacher does not respond, a second notice must be sent allowing an additional 15 days for the teacher to respond. If no answer is filed, the charges will be deemed admitted and the Board of Examiners will proceed accordingly. If an answer is filed and there are material facts in dispute, the Board of Examiners will either hear the matter directly, or transfer the matter to the New Jersey Office of Administrative Law to conduct the hearing. The rules of procedure vary depending on which entity will hear the matter. However, typically documents in support may be exchanged. A personal appearance by the teacher may not be necessary. In any case, the Board of Examiners will advise of its determination and the factual basis supporting its decision. If the Board of Examiners makes a determination in favor of revocation or suspension, the teacher must surrender her certificate within thirty days. Although a teacher can appeal the decision, the Board of Examiner’s discretion is vast. Moreover, the time period of a suspension for a teacher is largely discretionary. However, if a certificate is revoked, the teacher must wait at least four years until she can file a new application for a new certificate, and must be able to provide proof of rehabilitation from whatever conduct led to the revocation. 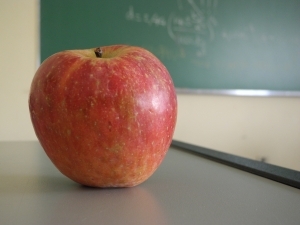 The attorneys at McLaughlin & Nardi, LLC are experienced with the law governing New Jersey’s public school teachers and can advice of your rights regarding revocation of your certification. To learn more about what we may be able to do to help, please visit our website, or contact one of our New Jersey lawyers by e-mail or telephone at (973) 890-0004. Tagged: "Revocation of License", "Teacher Certification" and "Termination of Teachers"